Home INFOBITES	Do Labs Shed? How Much? A Little? A Lot? 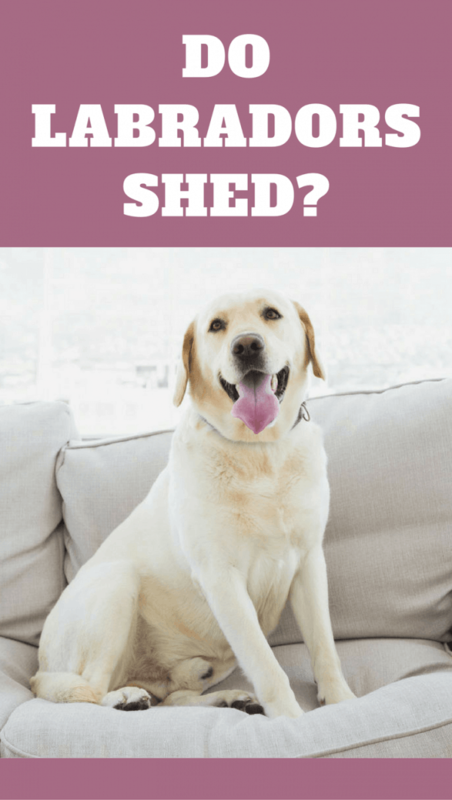 Do labs shed a lot? Well, for all their beautiful appearance as short-haired dogs, Labs are notorious for shedding a high amount of hair, regularly and without prejudice! You shouldn’t be surprised if you find Lab hair gathering in your carpets, at the corners of your hardwood floors and, of course, upon the seats of your car. How Often do Labs Shed? Do Some Labs Shed More Than Others? Could Excessive Shedding be a Potential Health Problem? What’s the Best Way to Manage Shedding? While Labradors regularly shed some amount throughout the year, the hair loss is especially evident in two short periods during the year as the seasons change. 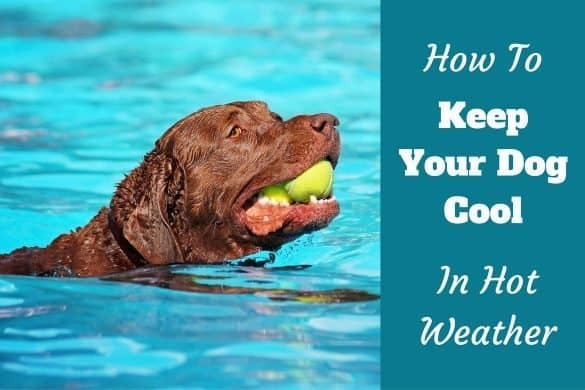 For around three weeks apiece, you’ll find your Lab will shed a lot of hair in the Spring as they lose their heavy winter coat, and again at the turn of Autumn as they lose their Summer coat and get ready to ‘bulk up’ for the winter. Lab owners often refer to these periods as “shedding season”, and you can expect to be using your vacuum cleaner a lot more during these weeks! Labs tend to shed more than other short-haired breeds because their hair is incredibly dense and boasts something called a double coat. This double coat is made up of a sleek outer layer of hair, which is waterproof, as well as a fluffy undercoat to keep your Lab warm whatever the weather. This fabulous coat is what makes Labs so tolerant of different temperatures and rainfall. It’s more or less impossible to quantify exactly how much hair your Lab will shed, and it will, of course, vary from dog to dog. 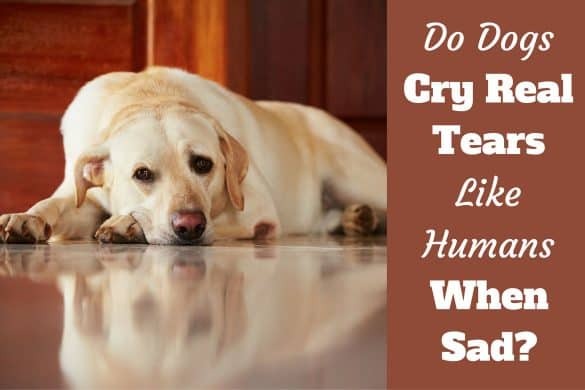 Various rumors persist that yellow Labs shed more than chocolate and black varieties, but there is no hard evidence to back this up – it’s probably more likely that lighter hair from yellow Labs just shows up easier on your upholstery, carpets and clothes. Essentially, you should be prepared for a degree of shedding regardless of what variant of Lab you own. A couple of factors that are thought to contribute to increased shedding is the female heat cycle – you should expect unspayed, female Labs to shed a lot when they’re in heat – and dogs living in hotter climates as they require less hair to keep warm than their equivalents living in colder countries. What are bully sticks really made from? Although a shedding Lab is entirely normal, you should consult your vet if you think your dog’s hair loss is verging on excessive as it could indicate some underlying health conditions. Allergies, stress, and hormone imbalances are all known to cause excessive hair loss. 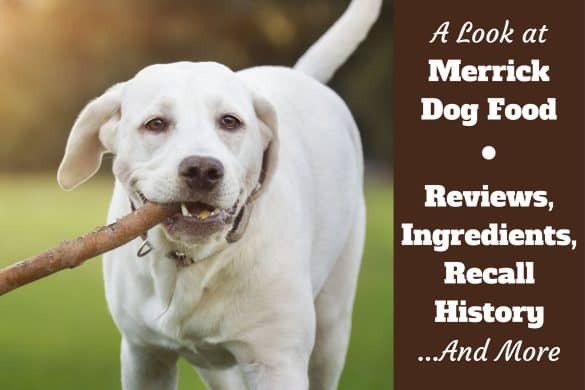 If no health issues are discovered but you’re still concerned at the rate of shedding, it may be worth tweaking your Lab’s diet. 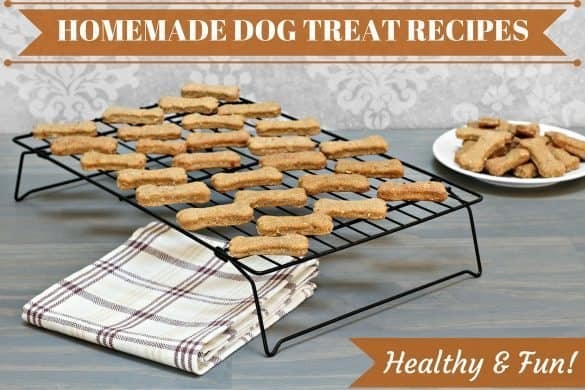 As with humans, the healthier your dog is on the inside, the more it will show on the outside. 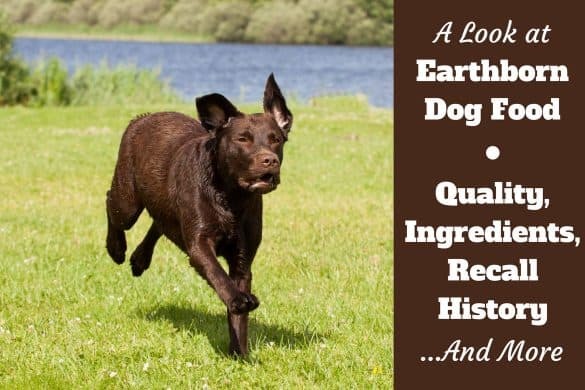 Be sure to feed your Lab with a nutritious and balanced diet, and you’re sure to see an improvement in their coat condition. 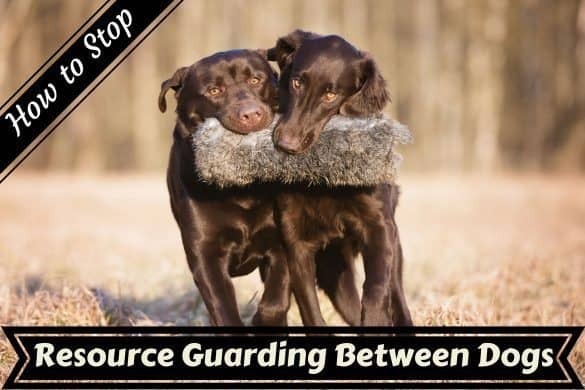 To best manage and minimize shedding, it’s recommended that you brush your Lab regularly to remove the dead hair straight from their body, instead of allowing it to fall out and congregate in your carpet fibers. In the shedding season, many Lab owners choose to brush their canine pals at least once per day, perhaps easing up a little during the rest of the year to just a couple of times per week. While many owners are happy to remove hair manually from furniture and carpet with a normal dog brush or comb, some owners swear by more heavy-duty equipment, like a Furminator for example, that strips out the dead hair with its blade-like contraption. Responsibility must be exercised when using these tools as it’s imperative you don’t damage your dog’s coat or reveal their skin, which could leave them vulnerable to sunburn. Always be especially careful when brushing the tummy area and lower legs, as the hair is thinner and less dense at these points, with the skin more exposed. A gentler way to remove hair is to treat your Lab to a quick massage while they’re in the bath to help loosen and separate the dead hair. You could use a rubber or silicone brush, or even a dog-friendly bath mitt, to be as thorough as possible. There are also specialist shampoos and conditioners on the market designed to minimize shedding which may be of use to you – just make sure you don’t shampoo them too much! 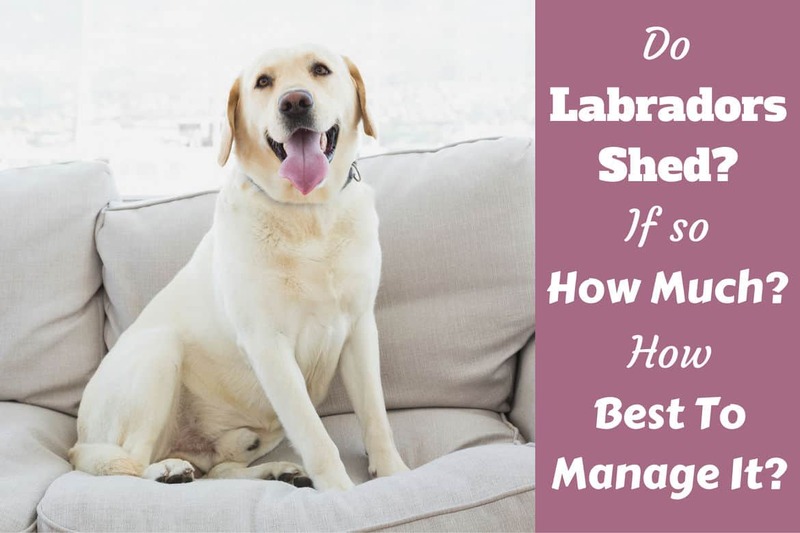 Finally, one of your best weapons against shedding is a high-quality vacuum – it’s essentially impossible to stop Labs shedding but you can ensure cleaning up after them is quick and easy. Look out for vacuums designed specifically for pet hair to achieve the best results. The best answer I know, which is true of our lab, Toby, he only sheds twice a year. From January to June and July through Dec. Ha. Ha but that wouldn’t keep us from owning one they are the best.